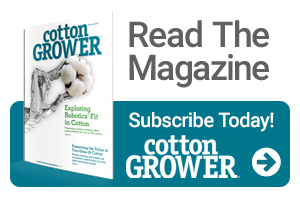 Despite a poor start to the cotton season in the Panhandle, timely and widespread rains arrived in time for flowering and boll development, putting fields on track for a good season, said two Texas A&M AgriLife Extension Service experts. Dr. Jourdan Bell, AgriLife Extension agronomist, Amarillo, said timely beneficial rains fell in Panhandle cotton fields, which are mostly in the bloom stage with some earlier planted fields starting to reach cutout. Bell said severe water stress at any stage can impact plant growth and production, but plants need more water as they bloom. Rain always helps, because many of the farmers in the Panhandle do not have the irrigation capacity to fully meet the crop’s water demands during peak water use periods. The precipitation also helped refill the soil moisture profile so producers will have needed soil water during boll maturation, she said. This is especially important for dryland producers. One drawback has been that weeds were really taking off with the rains, Bell said. Dr. Seth Byrd, AgriLife Extension agronomist, Lubbock, agreed that two widespread rain events around July 4, when cotton was squaring, and August 1, when most plants were in peak bloom, were very timely. Now, however, there is a slight concern that cooler-than-normal temperatures and overcast days could mean fewer heat units for plants to maximize production. Byrd said heat units are an extrapolation of potential plant progress based on maximum daily temperature and the amount of available sun. A hot overcast day delivers fewer heat units than a hot, sunny day, and cooler, overcast days provide even fewer. Byrd said the region needs all the heat units it can get as bolls develop and mature, but overall, fields look good. The trouble this year, Byrd said, was getting cotton fields planted and established. There may still be a few field maintenance issues for some producers, such as flushes of weeds due to rains, Bell and Byrd said. Byrd said cotton canopies and early season herbicide applications will likely prevent or slow weeds for many producers, but others will likely need to use hooded sprayers to address weeds or manually pull them. 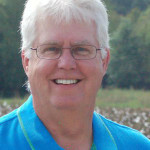 Jim Steadman is Field and Online Editor for Cotton Grower magazine. He has spent more than 35 years in agricultural writing and marketing. See all author stories here.